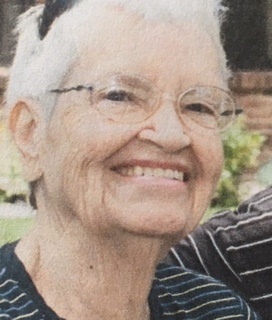 Gladys (Spydell) McFetridge,86, wife of the late Donald Robert McFetridge, died Thursday, July 13, 2017 at CherryBrook Health Care Center in Canton. She was born January 17, 1931 in Hartford, daughter of the late Stanley and Pauline (Meehan) Spydell. Don and Gladys raised their family in Simsbury before moving to Port Charlotte, FL, where they enjoyed retired life for over 28 years. They moved back to Connecticut, where they lived at Canterbury in West Hartford and then at River Ridge in Avon. Mrs. McFetridge was a Police Woman for the Simsbury Police Department prior to her retirement. She was a member of the Hesper Chapter #71 of the Order of the Eastern Star in Simsbury. Gladys enjoyed playing bridge, quilting, knitting, cooking, gardening and volunteering. 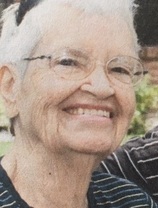 She leaves behind her two sons, Robert and his partner Grace Walczyk of Canton, Keith and his wife Cindy of Canton; daughter-in-law, Claire McFetridge of Bristol; her sister, Alice Spydell Holcomb of Newington; her grandchildren, Kelly Miller of East Granby, Jessica Pelletier of Bristol, Brianne Taylor of Michigan, Ashley Shedeker of Florida, Mason McFetridge of North Carolina, Daniel McFetridge of Maine, Steven McFetridge of New Jersey and her great-grandchildren, Amber and Maeve. She was predeceased by her eldest son Larry McFetridge and her brother, Dennis E. Spydell. There are no calling hours. A private service for the family will be held. In lieu of flowers, memorial donations may be made to the Simsbury Police Department Scholarship Fund 933 Hopmeadow Street, Simsbury, CT 06070. Please visit her “Book of Memories” at www.vincentfuneralhome.com for online condolences.